Uploaded at: 2011. 07. 04. The meeting took place in Brussels on the 15th of June. The report of the previous General Meeting and the annual reports have been approved, the accounts of the Committees have been presented followed by the evaluation of three international projects, financial concerns, policy work and future proposals, all in one day. 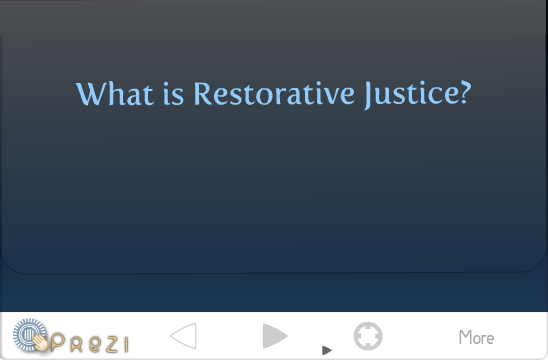 Following the presentations on the activities of the „Victims and restorative justice” and the „A way forward for restorative justice in Europe” projects, Dr. Andrea Barabás and Dr. Szandra Windt reported on the possibilities of RJ in prison settings. They presented in details the process and results of the quantitative and qualitative researches of the year, and compared Mediation/RJ in pre and post sentence phase, stating the superiority of the former. The presentation also clarified the legal limits of mediation in Hungary and described the approach and methodology of implementing the RJ in the prison system. You can download the presentation in Hungarian here.